We love the work we do (and our great clients) so it’s always a happy moment when we share projects with the world. Two new projects come with their own blood, sweat, and tears of accomplishment. 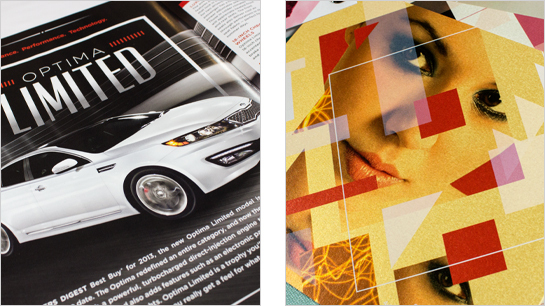 They include our first issue of Open Road magazine for Kia Motors, as well as the Stardream digital printing swatchbook for Gruppo Cordenons. Check out our portfolio links above for more details on each. Voilà!